“The Resurrection of Henry Box Brown at Philadelphia,” broadside, 1850. 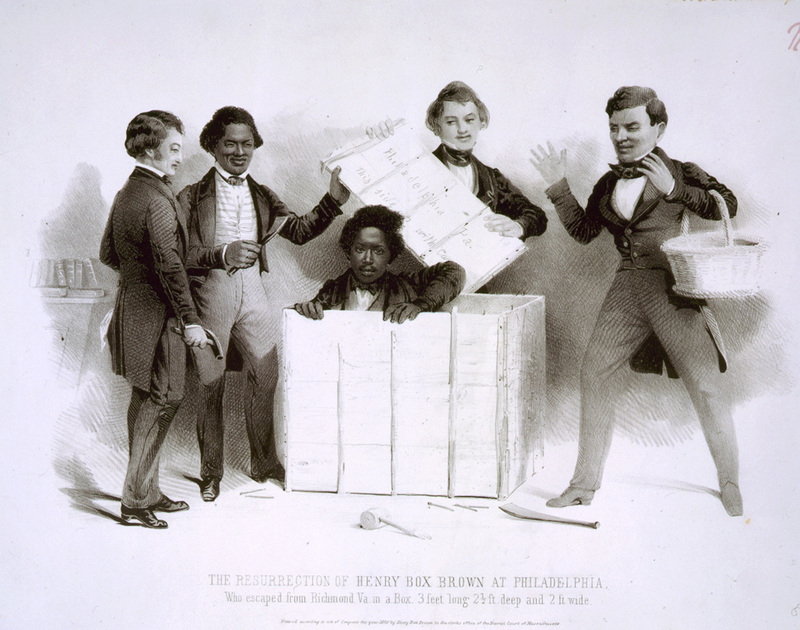 After escaping from slavery in Richmond, Virginia to Philadelphia by shipping himself in an express box, Henry “Box” Brown became an international celebrity and spokesperson for the American abolition movement. In this broadside, Brown emerges from his crate before members of the Philadelphia Vigilance Committee, including William Still (holding a chisel at left). Brown was among thousands of enslaved African Americans who fled to Pennsylvania in the decades before the outbreak of the American Civil War. The box itself became an abolitionist metaphor for the inhumanity and spiritual suffocation of slavery.